The origin story behind the supernatural beast known as the vampire is spread all throughout the world, in Eastern and Western Europe as will as in different parts of Asia. Every culture has different lore about what exactly vampires are (demons, the undead, etc.) and they all have various ways on how to tell if one of these monsters is in the area along with methods on how to vanquish the creatures. Over time the idea of vampires has become much less an accepted belief and more so basis for many works of fiction. Vampires of modern literature are usually depicted as classier and charming individuals. So if you want to properly portray this creature of the night then you may have to dress up a bit. 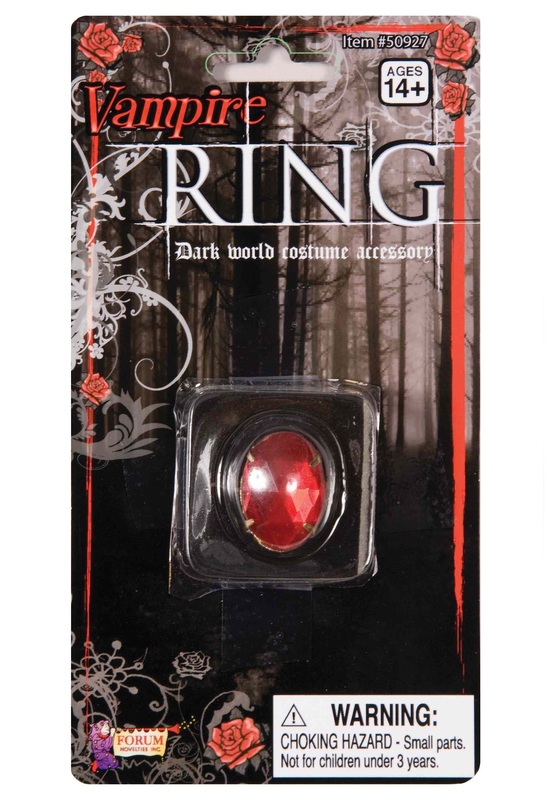 Grab a nice fancy button down shirt, a silky cape, and some jewelry to add a little bit of sophistication to your blood-sucker costume, like the Vampire Ruby Ring. 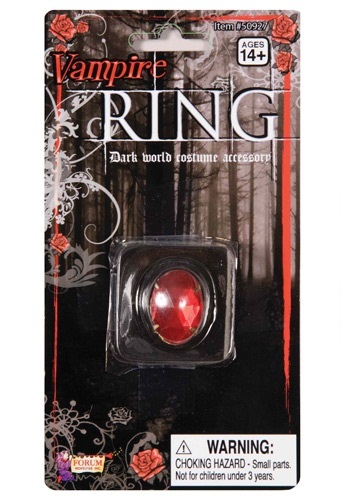 It's a perfect accessory that adds a hint of elegance while at the same time maintaining a creepy and mysterious essence.